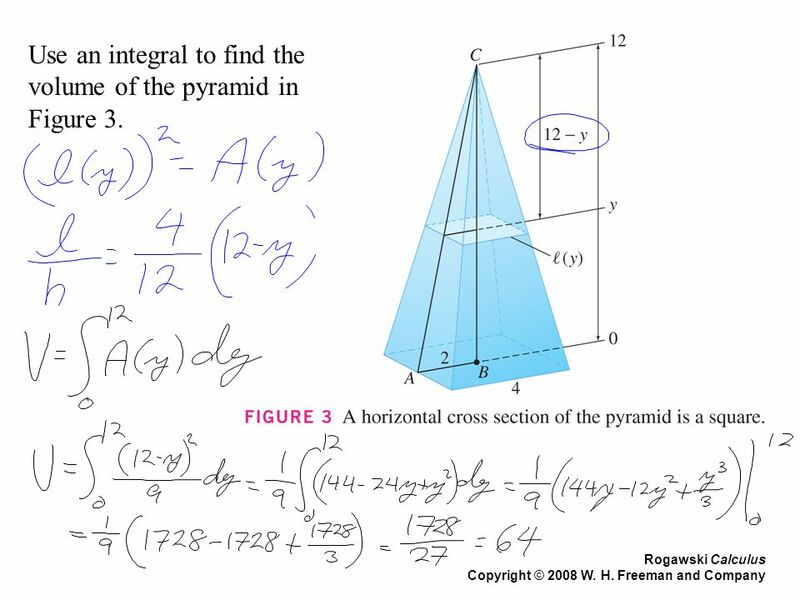 5 Use an integral to find the volume of the pyramid in Figure 3. 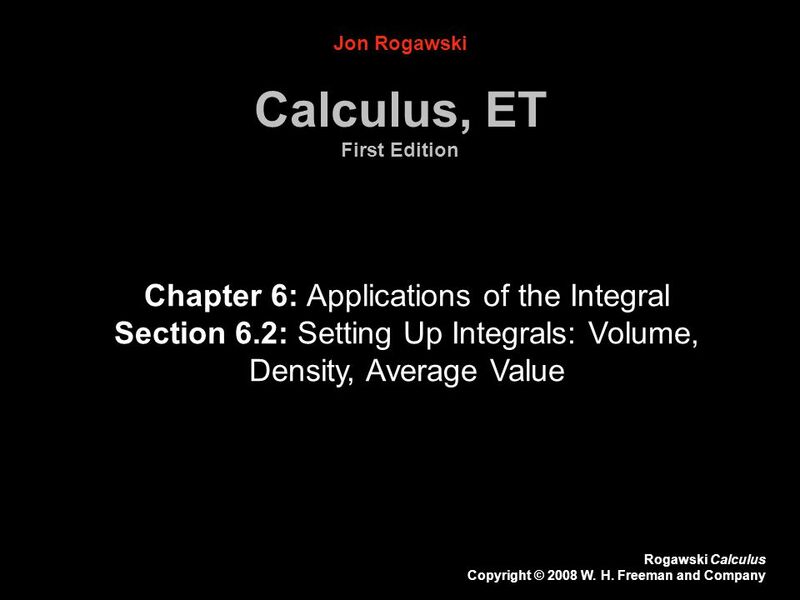 Download ppt "Calculus, ET First Edition"
Homework Homework Assignment #11 Read Section 3.3 Page 139, Exercises: 1 – 73 (EOO), 71 Rogawski Calculus Copyright © 2008 W. H. Freeman and Company. Internal 3 Credits DO NOW: Convert the following: 1) cm 3 to mm 3 2) 728,955 mm 3 to cm 3 3) Write up the method you use for doing this. Applications of Integration Copyright © Cengage Learning. All rights reserved. 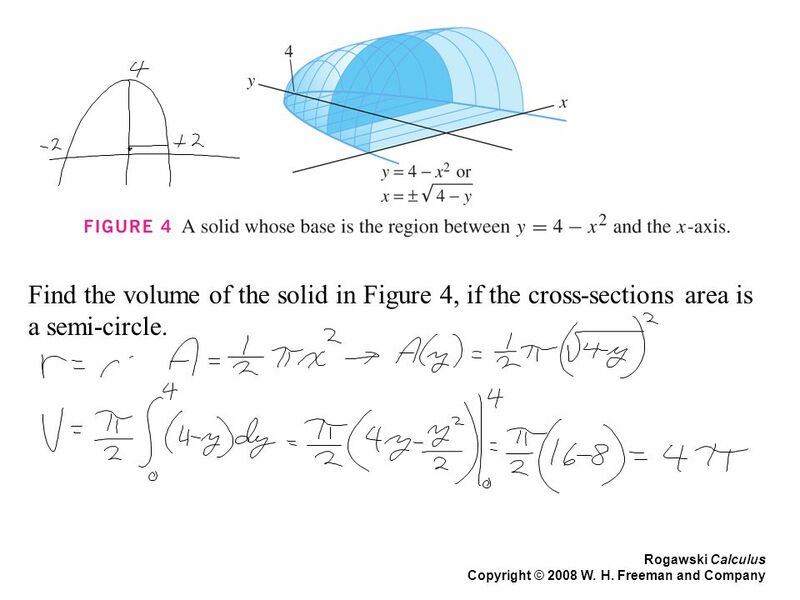 7.1 Area Between 2 Curves Objective: To calculate the area between 2 curves. Type 1: The top to bottom curve does not change. a b f(x) g(x) *Vertical. 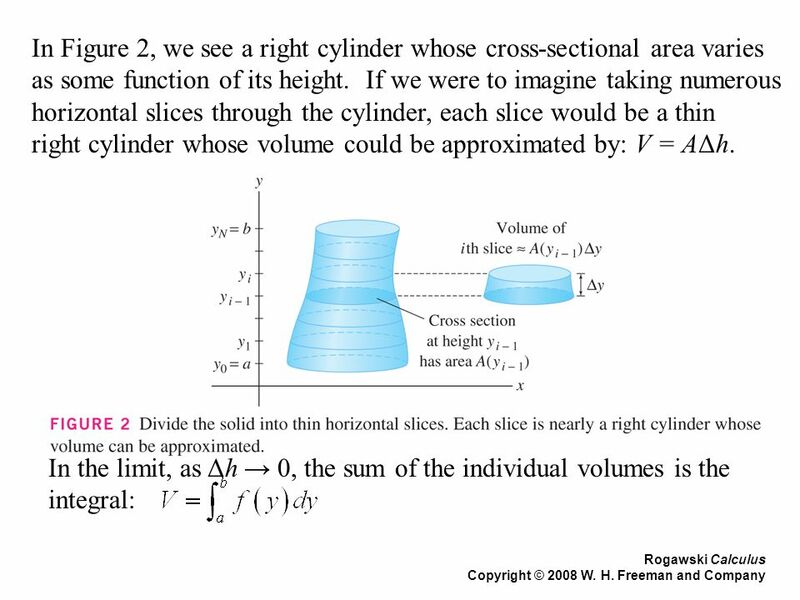 In this lesson, you will learn how to visualize the 2D cross-sections of 3D shapes Cross Section: the 2 dimensional shape that results from cutting through. What you see when you slice. 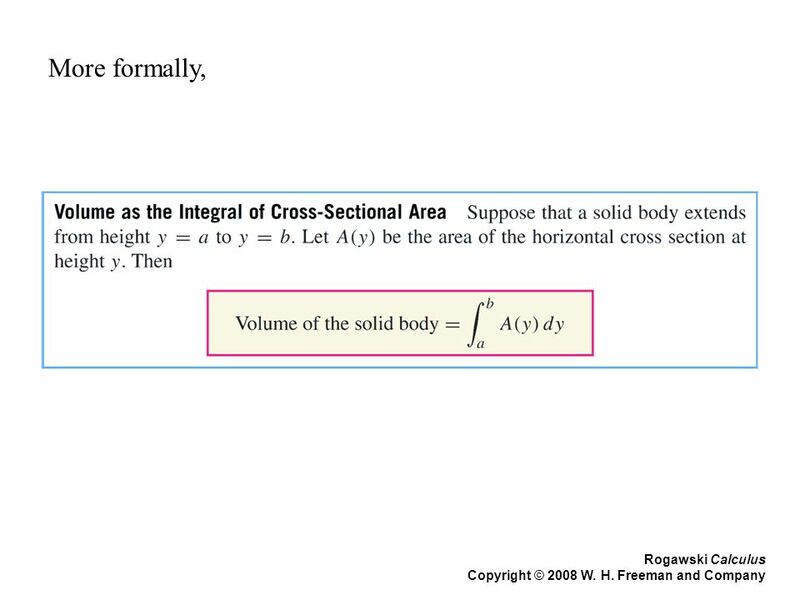 Volume of a Solid by Cross Section Section 5-9. Let be the region bounded by the graphs of x = y 2 and x=9. 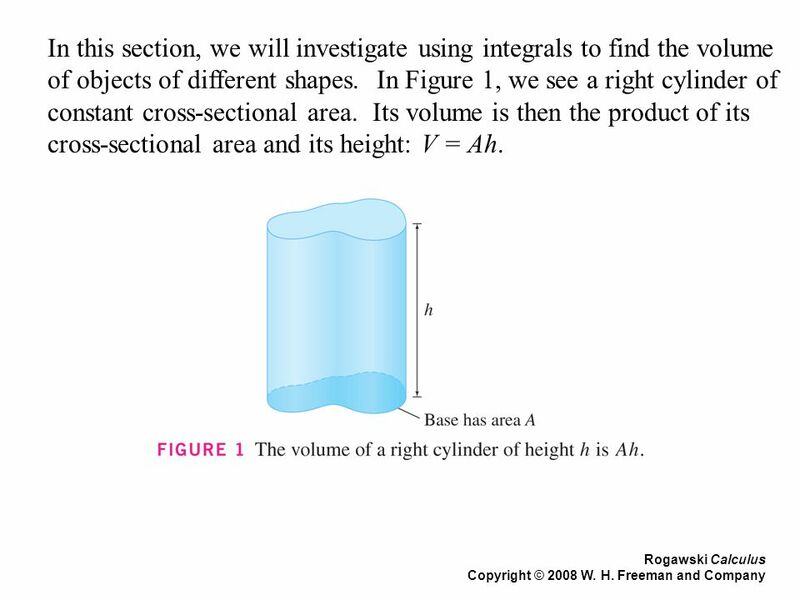 Find the volume of the solid that has as its. 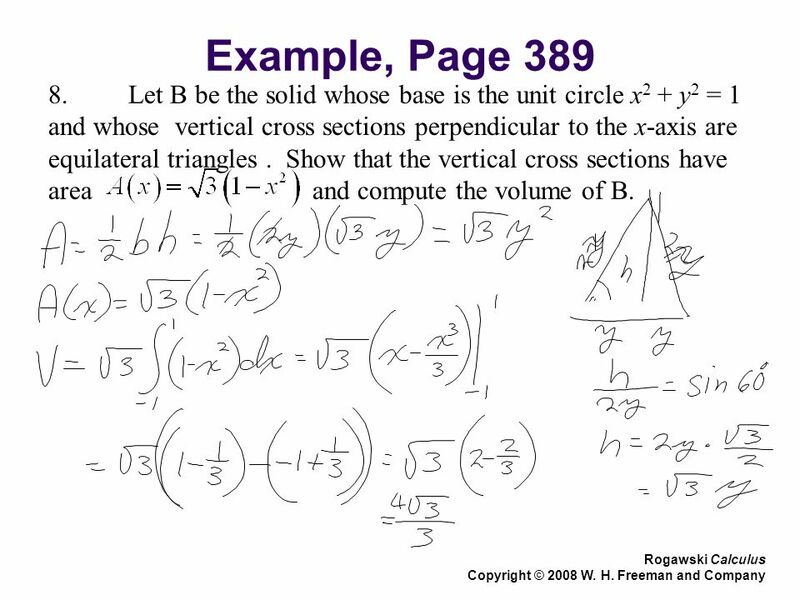 Find the volume of a pyramid whose base is a square with sides of length L and whose height is h.
6.2C Volumes by Slicing with Known Cross-Sections. 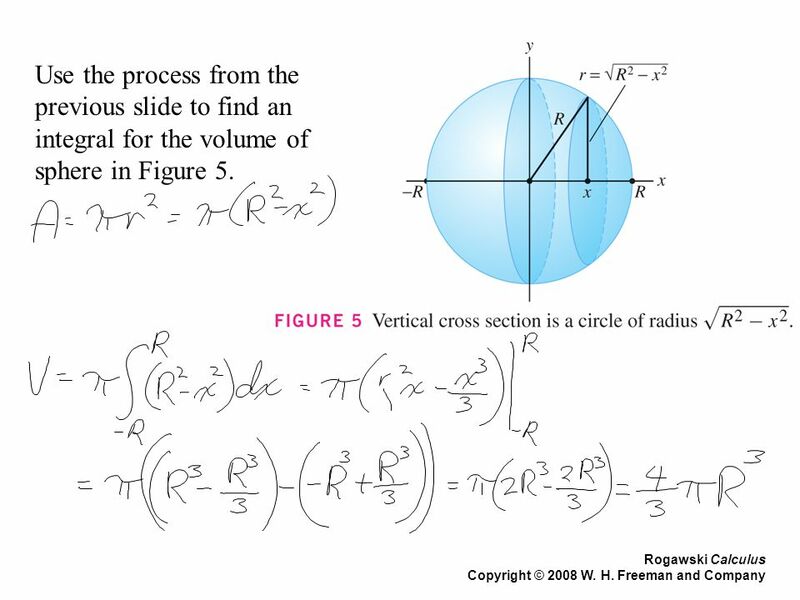 Homework Homework Assignment #24 Read Section 4.4 Page 236, Exercises: 1 – 61 (EOO) Rogawski Calculus Copyright © 2008 W. H. Freeman and Company. 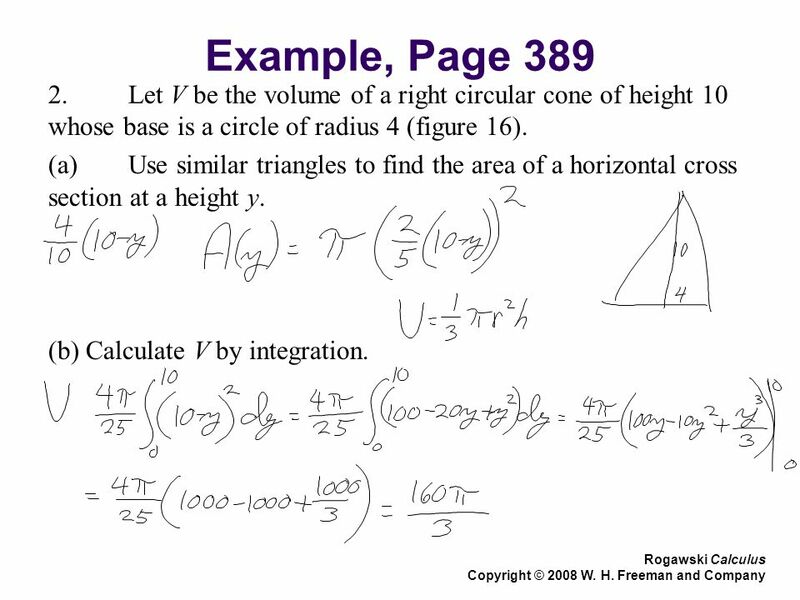 Homework Homework Assignment #15 Read Section 3.7 Page 170, Exercises: 1 – 49 (EOO), 43 Rogawski Calculus Copyright © 2008 W. H. Freeman and Company. Section 7.2 Solids of Revolution. 1 st Day Solids with Known Cross Sections. 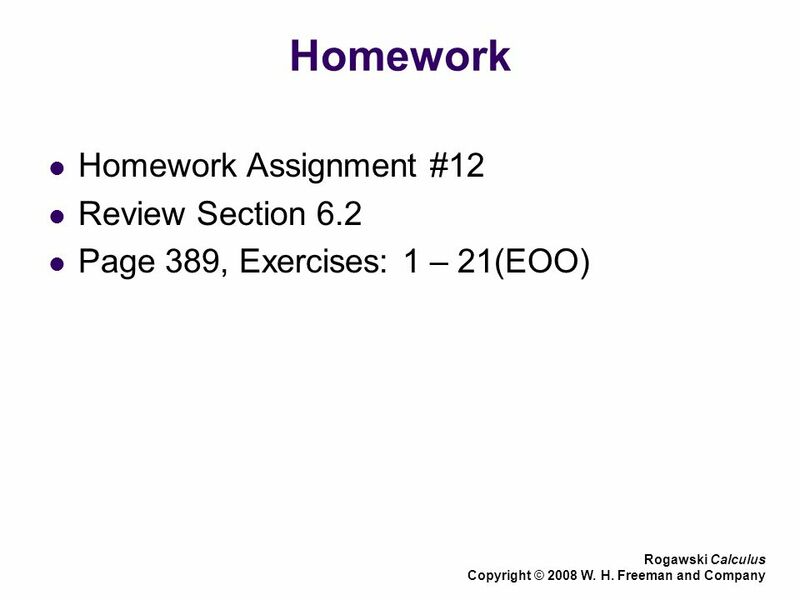 Homework Homework Assignment #47 Read Section 7.1 Page 398, Exercises: 23 – 51(Odd) Rogawski Calculus Copyright © 2008 W. H. Freeman and Company. 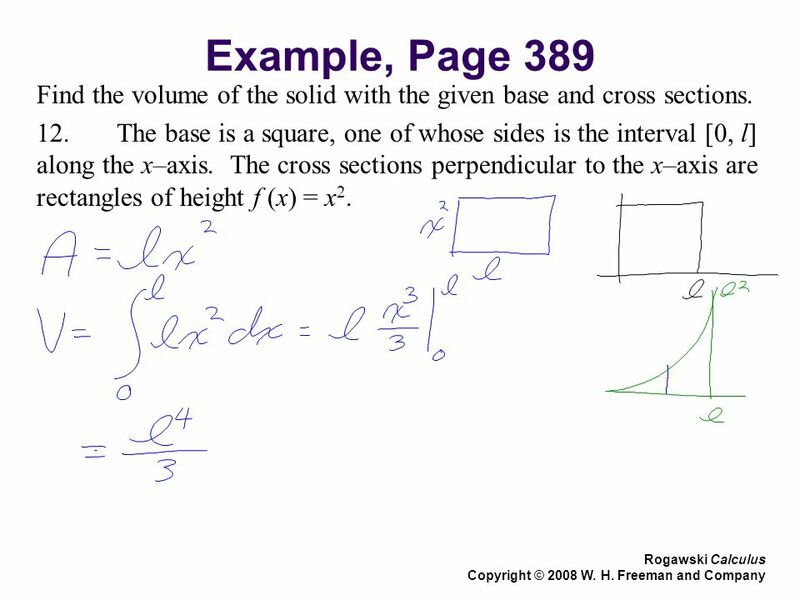 Homework Homework Assignment #11 Read Section 6.2 Page 379, Exercises: 1 – 53(EOO), 56 Rogawski Calculus Copyright © 2008 W. H. Freeman and Company.